I recently had a good laugh with a guest that was planning on visiting several lighthouses during their stay with us. They were from Texas and after talking with some coworkers they all agreed that the two most important things to do while visiting Cape Cod was to visit all the lighthouses and to have plenty of “Lobsta”. There is something very alluring when you visit a lighthouse and the history of each is fascinating. 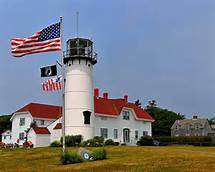 I thought it would be fun to do a historical summary of our lighthouses on Cape Cod as well as the history of this fabulous animal we lovingly call “Lobsta” . While not being as “pretty” as some of the others, this light house has a red flash every 5 seconds. It is located at the end of the north breakwater at the eastern entrance to the canal which was completed in 1916. The Cape Cod Canal is a 7 mile (11.3 km) long sea-level cut across the neck of Cape Cod, connecting Massachusetts Bay to the northeast and Buzzard’s Bay to the southwest. The functional lighthouse is accessible by walking the pier and while the site is open, the tower is closed. The original light dated from 1857 with the wood keeper’s house built in 1880 2hich is now a private residence. The lighthouse was replaced in 1931 by a light on a skeletal tower. 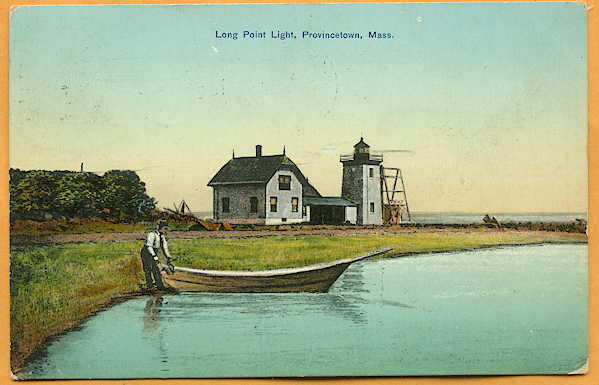 That light was discontinued in 1952, the same year the original lantern of the lighthouse was removed. In 2005 the Sandy Neck Lighthouse Restoration Committee was organized to raise funds to build and install a replica of the original lantern. The project was carried out in 2007, and on October 20 the lighthouse was relit for the first time in 76 years. Located on the Sandy Neck Dunes on the north side of the entrance to Barnstaple Harbor from Cape Cod Bay. The light house is best seen by boat as it’s a difficult 6-mile (10 km) hike on the beach to reach the site. The site and tower is presently closed but a beautiful site by boat. The station was established in 1838 and has been inactive since 1922. In late 2007 astonished researchers discovered that the cast iron light tower of Mayo’s Beach, long thought to have been demolished, was actually dismantled and shipped to California. In 1928 it was installed at Point Montara, near San Francisco, and it stands there today. The 2-story wood keepers’ house (1881) and brick oil house (1907) remain in excellent condition at their original locations. Built in 1872 and active today with a red flash every 10 s. 39 ft (12 m) square pyramidal brick tower with lantern and gallery, solar-powered VRB-25 aerobeacon. The keeper’s house and other light station buildings were demolished in 1961; the oil house (1896) survives. The American Lighthouse Foundation is responsible for restoration and maintenance of the light. In 2000 ALF volunteers painted the tower and oil house, and in 2012 they painted all three Provincetown lighthouses. Located in the Cape Cod National Seashore on the southwestern face of Long Point. Accessible by a hike of about 1-1/4 miles (2 km). Site open and the tower closed. Built in1876 and still active with a white flash every 10 s. The original 1-1/2 story wood keeper’s house, restored by the Cape Cod Chapter of the American Lighthouse Foundation in 1995, is available for overnight rental, and in 2007 the 1-story brick whistle house (1870s) was also opened for overnight rental. The original brick fog signal building was restored in 1999 as a field station of the Center for Coastal Studies. C.M. The gallery railing was replaced in 2001, and restoration of the tower was completed in 2002. In 2006-07, the station’s whistle house was renovated to provide an additional accommodation, and a wind turbine was installed to provide additional power. The National Park Service offers programs at the adjoining Old Harbor Life Saving Station, which was relocated from Chatham in 1977. Accessible by a hike of about 1.5 miles (2.5 km) from Race Point Beach. 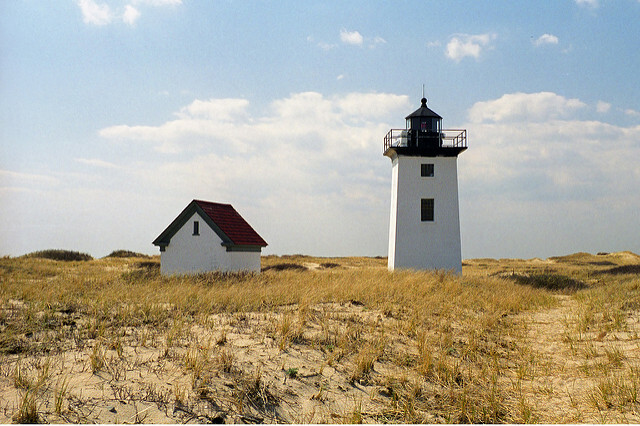 Located in the Cape Cod National Seashore on the extreme tip of Cape Cod, west of Provincetown. Site open, tower open for guided tours on the first and third Saturdays, June through October. Built in 1857 and active with a white flash every 5 s, day and night. The 1st order Fresnel lens was largely destroyed in 1998 during a botched attempt to remove it; some pieces of it are on display at the museum on site. The original 1-1/2 story Queen Anne wood keeper’s house includes the museum and gift shop. 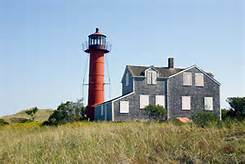 This is a historic and famous lighthouse, almost always called Highland Light although officially it was renamed Cape Cod Light in 1976. The light station was relocated 450 feet (137 m) west in 1996 to escape erosion of the bluff. 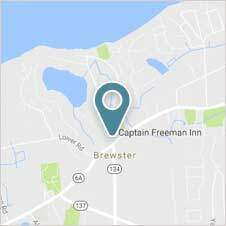 Located in the Highlands area of Cape Cod National Seashore atop a high cliff at the end of Highland Road, off US 6 in North Truro. Site open, museum and tower open daily mid May through mid October (free; fee to climb the tower). Built in 1892 with the northern and southern towers inactive since 1911 and the center tower inactive since 1923. 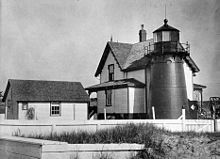 The 4th order Fresnel lens from the center tower (1873, transferred from an older tower) was transferred to Nauset Light in 1923 and is now on display at the national seashore’s Salt Pond Visitor Center in Eastham. Only a few triple-tower light stations were built in the U.S., and this is the only surviving example. The towers were privately owned for many years; the National Park Service purchased two of them in 1965 and the third in 1975. 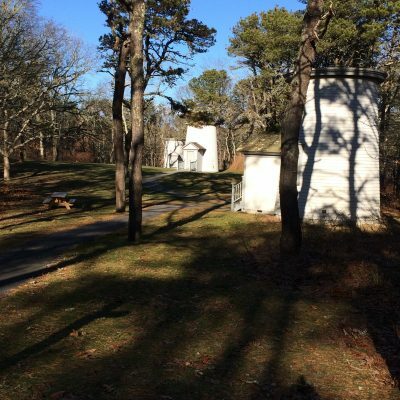 In 1989 the park service renovated the three towers and placed them in their original configuration about 1800 ft (550 m) west of the Nauset Light. 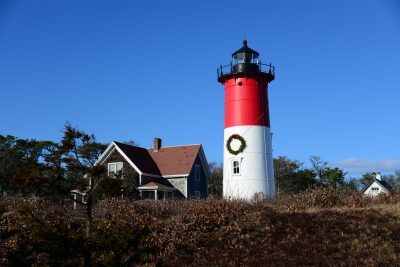 Built in 1877 and originally Chatham Light North Tower which was relocated to Nauset in 1923. Presently active with a flash every 5 s, alternating red and white. The original 4th order Fresnel lens is on display at the national seashore’s Salt Pond Visitor Center in Eastham. The 1-1/2 story wood keeper’s house (1875) is a private residence. International Chimney Corporation relocated the lighthouse 300 ft (90 m) west in 1996 to escape erosion of the bluff; the keeper’s house was relocated similarly in 1998. In 2005 the exterior of the lighthouse was refurbished and restored. 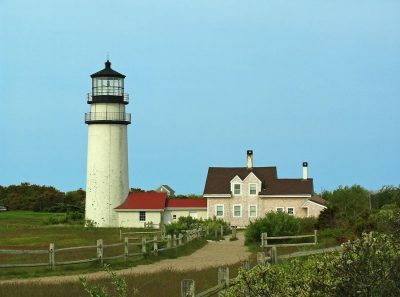 In 2013 the lighthouse was repainted thanks to a grant from Snyder’s-Lance, the owner of Cape Cod Potato Chips (which has the lighthouse as a logo). Located in Cape Cod National Seashore at Nauset Beach off US 6 in Eastham. Site open; tower open for guided tours on Sunday afternoons from early May through October and also on Wednesdays in July and August. Built in 1877 and active with 2 white flashes every 10 s, day and night. The lantern is modern, installed in 1969. Tower painted white with black trim; lantern is gray. 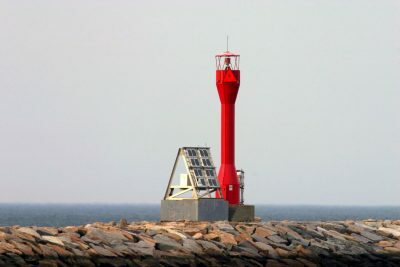 A steel post near the tower carries a light (yellow flash every 2.5 s, USCG 1-13305) that operates only when breaking seas make entering the harbor dangerous. 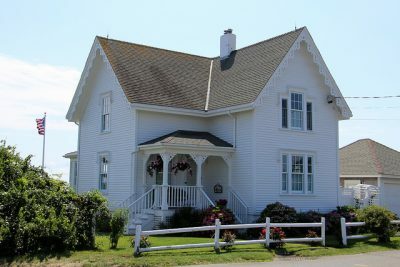 The original 1-1/2 story wood keeper’s house remains in use as Coast Guard housing. The original lantern and 4th order Fresnel lens are on display adjacent to the Atwood House Museum in Chatham (the lens is lit whenever the museum is open). Originally the station had twin towers, but the north tower was moved to Nauset Beach in 1923. Located at the Chatham Coast Guard Station just off Main Street in downtown Chatham. Site open; museum open Tuesday through Friday afternoons, June through September; tower open for tours every Wednesday afternoon during the summer season. Built in 1849 and inactive since 1923. The original 2-story wood keeper’s house is used as a guest house. This early cast iron tower has a unique design. The Massachusetts Audubon Society purchased the station from private owners in 1964 and sold it to the federal government in 1977. 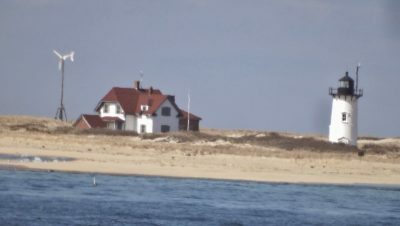 The light station has been restored twice through efforts of the Audubon Society (1960s) and Lighthouse Preservation Society (1988).The Friends of Monomoy National Wildlife Refuge support continued preservation of the lighthouse. The beach has built up in the area so that the lighthouse, built at the dune line, is now 1/2 mile (800 m) from the ocean. In October 2009, $1.5 million in federal recovery act funding was allocated to restoration of the lighthouse; this was enough to restore the lighthouse and the exterior of the keeper’s house and add solar and wind generators to provide power for the buildings. Located near the south end of South Monomoy Island (the island was cut in two by the Blizzard of 1978). 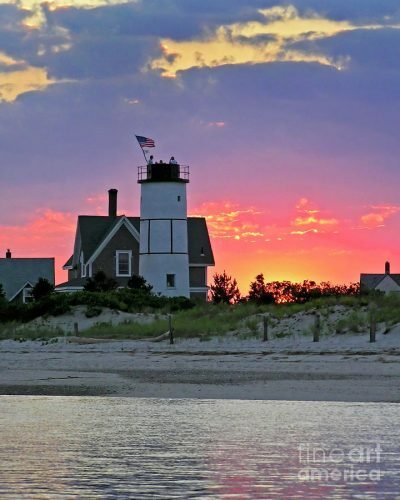 Accessible only by boat; the Friends of Monomoy organization offers tours in season. Site open and tower closed. And now on to the subject of what many of our guests love to enjoy while they visit Cape Cod- Lobster! 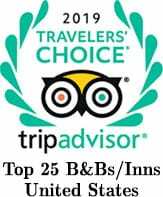 We love to recommend a fresh lobster roll from Sesuit Harbor Cafe, Cafe Alfresco or Sir Crickets- all close by to our Cape cod bed and breakfast inns on Cape Cod, Brewster by the Sea and the Captain Freeman Inn. There are many options for lobster while visiting Cape Cod. Most of the Fine Dining restaurant will include a lazy lobster of sorts where the meat is taken out of the shell and combined with sauces or pasta. 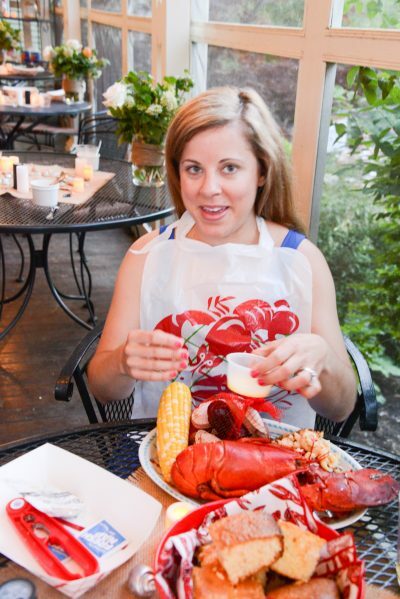 For an old fashion lobster experience with a bib and claws we like to recommend the famed Lobster Pot in P’town. It’s interesting to learn that lobsters were very common when the Pilgrims arrived in 1620. In fact they were so plentiful they were not appreciated and considered a garbage type of food that were used to fertilize the crops. 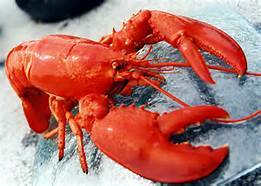 In colonial times, lobsters could be picked up in shallow water or gaffed or speared from boats. Four foot, forty five pound lobsters were not uncommon. After the Revolutionary war, lobster grew in popularity and lobstering soon became a separate industry on Cape Cod. During the Depression, there was little market for large lobsters as they were considered a luxury food for the rich. After World War II, the depth sounders used during the war, enabled fishermen to find the canyons and creases in the ocean floor where the lobsters were. In the 1960’s, harvest levels dropped as Russian fishing trawlers wreaked havoc with offshore traps. Levels were able to climb again in the 70 & 80’s . The National marine Fisheries Service formed a management plan which was implemented in 1983. In 1992, the 800 trap limit was mandated for in shore commercial licenses and larger numbers off-shore. Traps have improved with the frames being made of aluminum, plastic or vinyl coated wire. The largest lobster taken off Cape Cod in modern times was named Big George when caught in 1974. It weighed 37 pounds and was 2.1 feet in length. The worlds record is 44 pounds. After all, there is nothing like an old fashion lobster experience! Picture shown above is of our daughter April, enjoying a lobster at her sister’s wedding at the Captain Freeman Inn several years ago.